The confirmation of Justice Brett Kavanaugh has reconfigured the U.S. Supreme Court for decades to come and puts women's reproductive rights on the line. Roe v. Wade is under near-constant attack both in the courts and from anti-abortion legislators at the state and federal level, and that makes ongoing monthly support from our Friends of the Center more urgent than ever before. 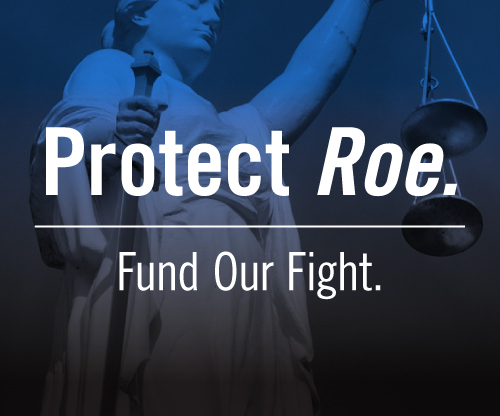 Fund Our Fight to protect Roe—become a Friend of the Center today! The Center for Reproductive Rights is the only global legal advocacy organization dedicated exclusively to the advancement and protection of reproductive rights as fundamental human rights in constitutional and international law. The Center (Tax ID: 13-3669731) is a 501(c)(3) non-profit organization. Donations to the Center are tax-deductible charitable contributions.